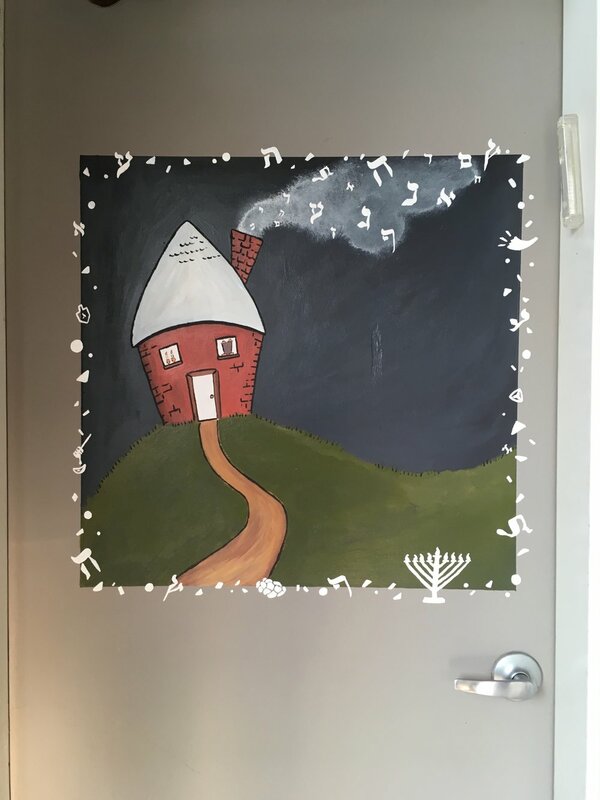 To help the Jewish Center start of the new school year, we created some personalized murals for the classrooms. 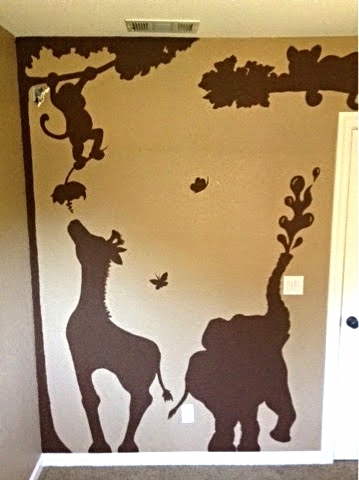 Nothing beats a custom mural in a kid's bedroom, not even a decal. With this piece I created something for both parent and child. This timeless piece adds color and curiosity to the room. It's the perfect addition to any room, no matter the age. There is something nice about having a custom drawing of a loved one. Especially when its a surprise. That is why recreating favorite photos is always a pleasure. For this treat I worked with Sweet Dreams Foundation to hand draw selected photos to be hung in a dream bedroom. Kids love to explore and be creative. So let them express that with some custom art on their wall. Something that will make their bedroom stand out from others and give them a fun and exciting place to play. Decals can wear off and end up on the floor, but a little paint and some artistic insight can provide a childproof decor that is loved by all. This can be accomplished with a little help from the child and or parent, and together we can create something that will surely be out of this world. Changing a plain wall into something colorful and lively. This is what I love to do. Sometimes its hard to find that right piece of artwork to hang on the wall, so another option is to add a simple statement with some beautiful custom made murals. It doesn't have to be huge or pricey. It can fit your taste and decor while staying in your budget. This sign was created for a soap company in Grassvalley California. They wanted something handmade and rustic to match their style of soap. The sign was used for selling their products at local farmer markets in the area. The nutcracker needed a cannon so they came to me. With the form pre made I got to work on this functional homemade device. With the right color placement and texturing this cannon was ready for the show. This collaborated piece was done with the home owner to create a custom country scene from their dreams. Sitting across from the toilette, this mural is enjoyable for everyone who uses the restroom, especially the little grandchildren who can have fun searching for the animals while they are being potty trained. 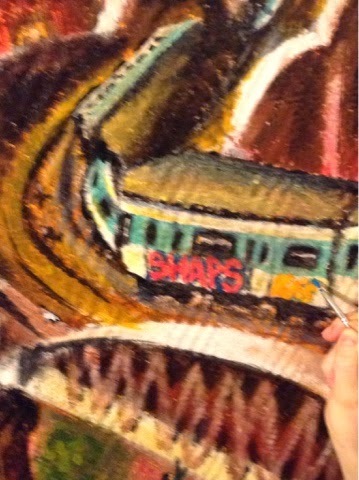 See images below for completed piece. To brighten up this bathroom, the home owner wanted something that was original. She had seen many sunflower paintings while shopping around but non spoke to her and seemed right for the space. So instead she came to me, and together we came up with an amazingly original piece that speaks to her and brings warmth to her room. Check out the process below. Sweet Dreams Foundation has done it again! This time we donated a movable canvas for Tyler, a 11 year old battling leukemia for the 3rd time! Tyler LOVES Disneyland and Pirates of the Caribbean, so his dream was to have his very own Pirate Man Cave. 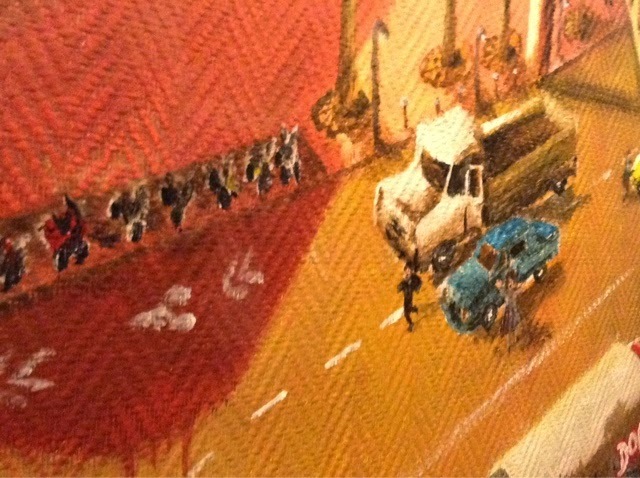 You can view the process of this canvas below. This piece is so special because it can be rolled up and moved around as Ty travels to receive medical help. How cool is Ty's #disneyland #castle & #monorail :) thank you @kris10provencher for volunteering your talent to create this incredible painting!!!! Ty loves it!! Who wants a boring old door? Well not this client. To create a natural entrance way into their downstairs loft, I created this redwood forest scene that they can step into at anytime. This 4 foot by 9 foot wood panel fits right into their preexisting glass door to provide a shade coverage from the outdoor sun and a reminder of the beautiful outdoors. Check out the process below along with some close ups on details. Finished piece behind glass door. For an upcoming show held by Placer County Ballet we touched up two home flats and created folding side flats to form a three dimensional appearance. Specific details listed below each picture. Left side flat created, 4' x 12', for home along with singles, stone wall, and trim touched up. Right stone flat, 4' x 12', created along with roof. Door and stones touched up. 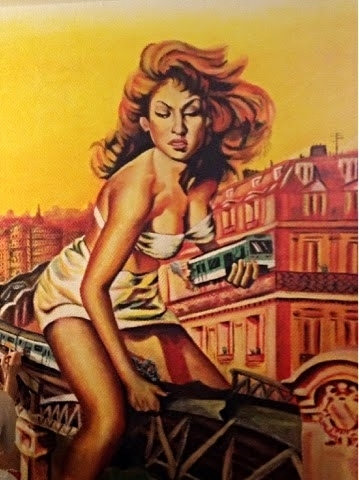 Painting a mural in Paris France is a dream come true. 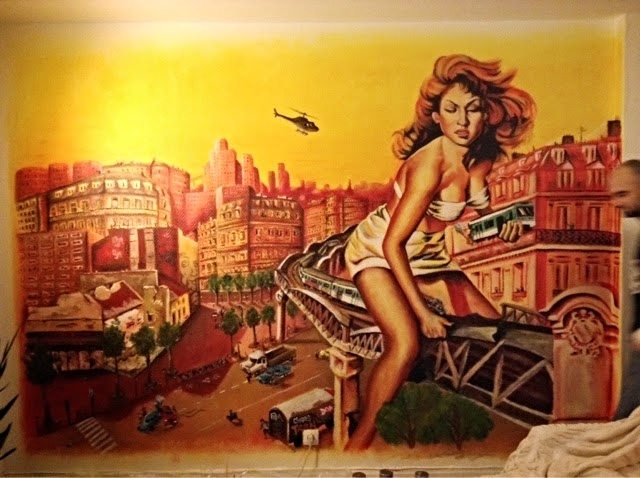 Two friends came to us with a poster idea that they had admired for some time and with our help and some creativity we transformed this 1970s film into a breathtaking mural that is original and resonates with our Parisian couple. It was challenging at time to make a ten foot pin-up, but I think we got it. As Sacramento artists we feel accomplished to have left a piece of us in such a beautiful city. We had so much fun creating this special look for our fiend's baby room. The silhouettes form a fun and simple piece which invites more decorations to be added without overwhelming the room. The playful animals bring laughter and life for this new baby to enjoy. This sign was custom designed and hand painted for one of our favourite art communities in the Sacramento region. 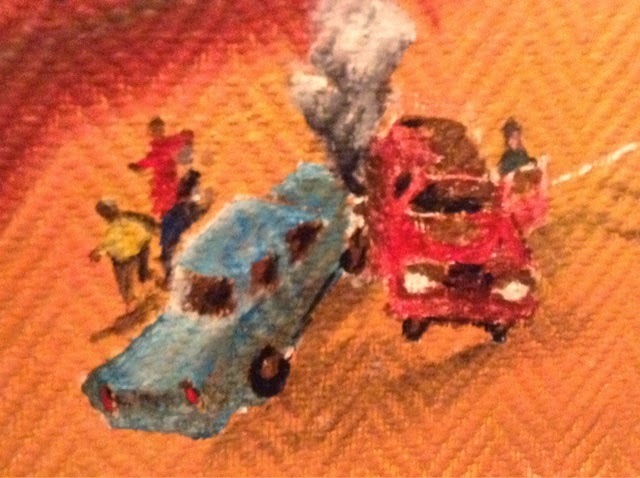 It is double sided with a replicated, hand painted copy on the reverse. One of our first movable murals was created for a local Placer County Jr. High School. Here we assembled four wood planks with metal hinges so that this mural could fold close for storage and expand out when in use. A backyard masonry wall, measuring sixty six feet long by six feet high, is transformed into a window to the outdoors. This family had many memories of hiking along the American River in California where poppies and wild flowers pave the hills. Large rocks jump out into the water to continue their pre-existing natural fountain and bring the American River to them. As two Sacramento Artists that enjoy the outdoors of our area, we loved creating a similar feeling right along their pool side. Now dreams of flouting in the American River on hot summer days is a reality. As Sacramento Artists we love to create an enjoyable atmosphere where people can gather and hangout in the community. This private home mural was commissioned on a free range contract in an open space where the owner hosted gatherings, weddings and other social functions. As artists we took the pre-existing vibes that where around us and brought colour and life to this wall. The stars and moon even glow in the dark for some after-hour fun.